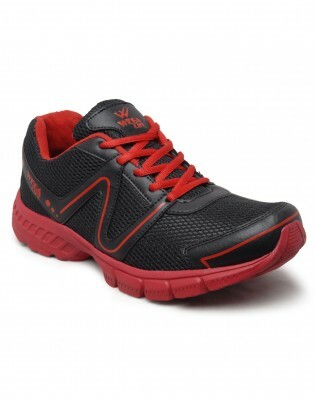 On heavy demand sale of wega LIFE AIR running shoes is back at a special price of Rs. 699 only on D2Hshop at a discounted rate of 53% off. These running shoes are light weight, highly comfortable and sweat absorbing. Available in Red and Black color these running shoes look very attractive. For more visit http://www.d2hshop.com/wega-life-air-running-shoes-wgl01502.html.